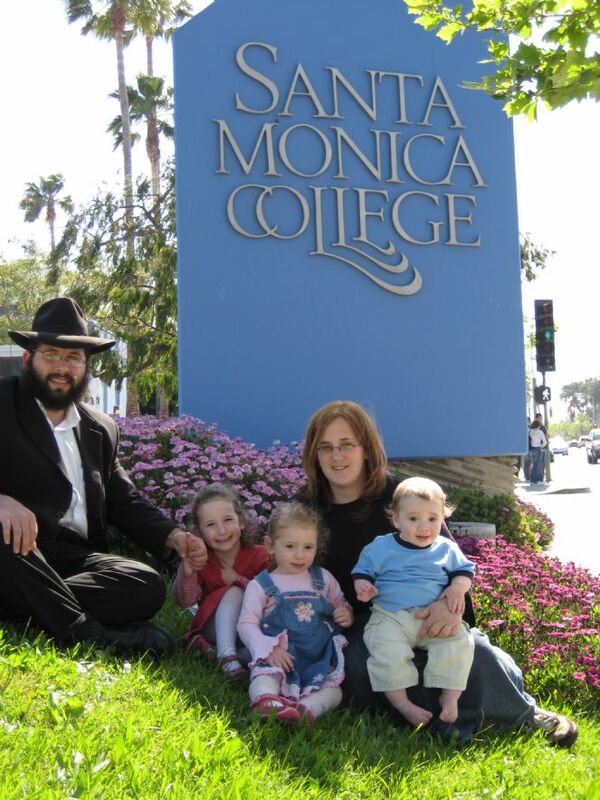 Chabad at S. Monica College (SMC) was founded by Rabbi Avrohom Halevi Levitansky OBM - Shliach of Simcha Monica and director of Jewish Released Time just prior to his passing in 2007. He appointed his son Rabbi Eli M. Levitansky together with his wife Mirel to open a Chabad center for Jewish students on campus. For Jewish students it is also an opportunity to deepen and broaden one’s Jewish identity, and enhance the sense of commitment and responsibility to the greater Jewish community — on campus, at home, across America and throughout the world. Chabad House offers the anchor and embrace of ‘family’ for Jewish students On-campus is where it all happens. Agony and ecstasy. Heartbreaks and breakthroughs. Frustration and fulfillment. The possibilities and the pitfalls are endless. Which is what opportunity is all about. Why should I care about my Jewish identity? Why should it matter what kind of Jew I am? Why shouldn’t I date and marry whomever I want? Others have fewer questions. They arrive with a strong Jewish identity and a genuine desire to maintain, nurture and enhance their Jewish character during these critical college and graduate years. Nevertheless, it can be challenging to find oneself a minority within a minority. Everywhere there are voices urging change, experimentation, the reconsideration of Israel’s legitimacy, the alleged anachronism of heritage. On leading campuses all across America the Chabad House offers the anchor and embrace of ‘family’ for Jewish students regardless of background, observance or affiliation. It provides a safe haven in an ocean of uncertainty — an address any Jewish student can turn to for any reason at all 24 hours a day. Chabad activity on campus is not limited to what goes on in the Chabad House. Chabad is inherently extroverted, and an active and highly visible presence throughout each campus — reaching out to Jewish students through tabling, holiday celebrations, at the Student Union and on fraternity/sorority row. Campus-based Chabad Houses can be found at over 130 colleges and universities across America, and in many countries around the world. Hundreds of other campuses are served by nearby community-based Chabad-Lubavitch centers. They are staffed by Chabad-Lubavitch couples whose sole purpose is to embrace the totality of the Jewish community and foster a viable Jewish future through love and acceptance of every Jew. Walk into a Chabad House on Friday evening and you will be amazed, shocked, delighted, and baffled by the mélange of students that come together for a few hours of real Jewish fellowship. Those attending have only one common denominator — they are all Jewish.